Melbourne Australia's The Shifters have been making a really impressive noise over the last couple of years, still in their infancy but growing stronger with each gig they do, the band have grown to become one of more interesting new groups to emerge from Melbourne's Underground in recent years. 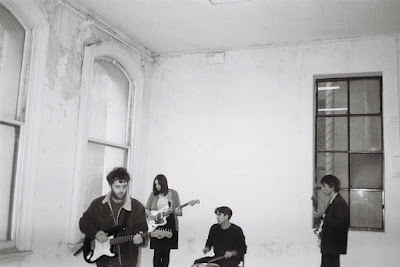 The group's debut 7" Creggan Shops impressed me with its monotone sleeve and scratchy guitar punk genius. 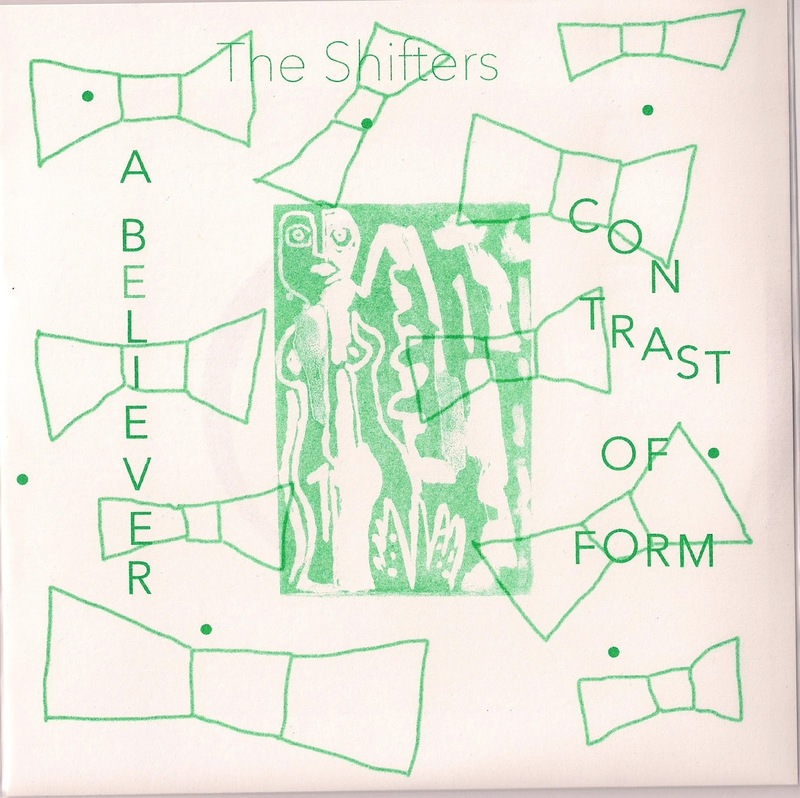 Market Square are proud to be releasing the band's second 7" A Believer b/w Contrast of Form. Both sides combine great DIY art punk of the highest calibre. A Believer starts proceedings with rhythmic drum work very reminiscent to Television Personalities 1988 single "How I Learned To Love The Bomb" a steady tribal beat opening way to a mesmerising chord and fender jaguar laden hook. The track also has a very Fall-esque vibe about it, with the way the organ flows through the track.... but ultimately this is The Shifters in their most snotty art-punk best, the song is poppy, its catchy and its the sound of a great new talent. The b-side Contrast of Form is basically a trademark sound for this band, this in my opinion is some of the most perfect outsider pop happening in the world right now, the song takes us on a journey explaining the story of a weirdo artist and his ambitions to be a "real" artist and also to possibly "take flight" the song is open to interpretation, thats what's so cool about this song. 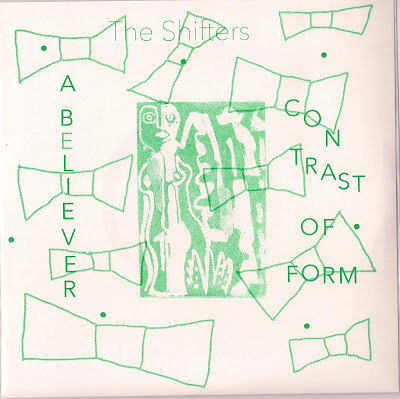 Musically The Shifters follow in a similar course forged by their Antipodian brothers from the early 80s NZ underground scene, groups of which came out of the embryonic Flying Nun Records catalogue, bands like the Stones, The Clean and The Bats... in-fact Contrast of Form is the closest I've heard a recent band capture the Dunedin sound without even trying.... there must be something cool in the water down-under?? The Record is limited to 300 copies and will each be hand-numbered, the record comes housed in a riso-graph sleeved designed by Tristan from the band. The Record will be released at the end of June (likely 29th June) and available from Market Square direct at our Bandcamp HERE!!! !